Before beginning to work with your custom louver installer, there are a few things you should know. 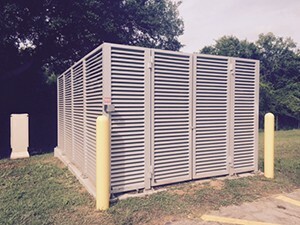 Working with a custom louver installer means you’re committing to the quality of their craftsmanship which, due to the security benefits of custom louvers, is a pretty big deal. Because installing louvers is such an investment, it’s important that you’re on the same page as your custom louver installer. This prevents mistakes or miscommunication that could lead to costly consequences. If you’re unsure of what you need to know about your custom louver installer, read on to find out more. Your custom louver installer should have the right licensing for the state they are operating in. If they lack this licensing, that’s a surefire sign that you oughtn’t trust them with the installation of such a costly investment. Sometimes unlicensed contractors will try to earn their client base by offering steep discounts for the work done, but working with someone unlicensed is nonetheless inadvisable as the property could become damaged and you would lack any legal recourse. 2. How Old is the Company? Being confident in a company’s quality of work is a necessity. In addition to being properly licensed, you want to work with someone who has a robust history of experience and even references or a quality portfolio. Be sure to research the company thoroughly and inquire about reference materials to past jobs. Check out online reviews as well to see if there’s anything that stands out or strikes you as unusual, but do remember that online reviews aren’t always reliable indications of the quality of a company. 3. What About Permits and Utilities? Working with a quality custom louver installer means that they can help you through all the paperwork, including confusing permitting issues. Having someone who can really guide you through the process is invaluable. Before permitting even begins, you will also want to check with the utility company so you know where the lines are before anyone begins digging. This entry was posted on Friday, April 6th, 2018	at 3:38 pm	. You can follow any responses to this entry through the RSS 2.0 feed. Both comments and pings are currently closed.